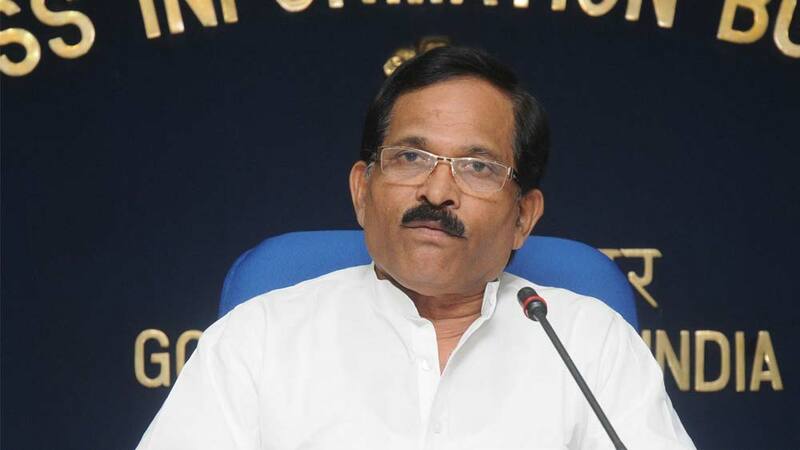 Seeking participation in government’s endeavour, Shripad Yesso Naik, Minister of State, Union Health & Family Welfare has urged for contribution and innovative opinion of healthcare industry and service providers to make affordable it available to all. With several steps taken by Union Government to create awareness and raise standard of healthcare in India, Shripad Yesso Naik, Minister of State, Ministry of Health & Family Welfare urged industry to think afresh and innovate to make quality healthcare available to all. Recently, while addressing the first edition of the Hero Cycles India Health & Wellness Summit, 2014, Naik urged Indian industry to partake in government’s endeavor to spread the net of healthcare and improve quality delivery. “I take this opportunity to call upon all private players and organizations present here to partake in this endeavor of the government… We are dedicatedly working to push the reach of hospitals and clinics to far corners of India, so that healthcare does not remain a prerogative of urban and affluent Indians. The concerted effort of the Healthcare Industry and Health professionals can give better and speedier results. It is also important to ensure not only affordable but quality healthcare services are made available to all people, be it in an urban city like Delhi or a smaller place like Bastar,” said Naik. Further, the State Minister talked about country’s leverage of knowledge in traditional alternative systems of medicine like Ayurveda, Unani, Homeopathy, to devise a more holistic approach. “We can more effectively use our traditional systems of medicine in conjugation with modern medicine to device a more holistic approach towards treating diseases. Promoting an inter-disciplinary approach can benefit a large number of people and help position us as a more integrated and comprehensive healthcare provider in the world,” added Naik. Meanwhile, one of the panelists in the discussion, Dr M C Mishra, Director of AIIMS asked Indian doctors and healthcare providers to develop a conscious approach towards improving trauma response. “When a patient is brought to a hospital, at least during the Golden Hour we have to look at his physiology, not anatomy. An orthopedic expert should not just be willing to focus on his area of treating bone damage but also be able to look at the overall injuries of the patient. Across specialties, we should develop more trauma specialists,” said Dr Mishra. Similarly, various other dignified panelists have shared facts and measures to improve healthcare and related industry during the summit. During the event outstanding achievers in multiple fields of Indian healthcare were given awards. Leading cardiologist Dr Ashok Seth was awarded the Lifetime Achievement Award in Medical Care for his outstanding contributions in the field of Cardiology Care in India and leading cosmetologist Dr Jamuna Pai was awarded for Pioneering Role in Cosmetic Medicine. Iraya launches New Year gift hampers..